Providing constructive feedback to employees is never easy and can be tricky. Effective communication in this situation is important and may make the difference between a productive employee and a destructive employee. 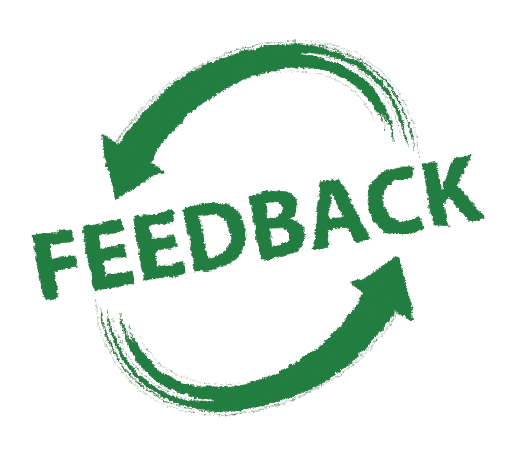 Delivering your feedback successfully will build morale within your company. One important way to provide constructive feedback to an employee is to be certain to discuss the situation not the employee. Discuss the core of the issue without coming being judgmental. Another key in giving constructive feedback is to remain focused and specific. Give examples and reference situations so the employee understands exactly what message you are trying to get across. Being a guide by offering suggestions can also be helpful when providing employee feedback. Create a conversation by sharing a positive course of action. This will allow for an exchange of ideas making the employee feel part of the feedback opposed to being spoken to. Comparing one employee to another is definitely a no-no. Not only will this make the person you are speaking with feel horrible, but it will build a rift in your team dynamic. You never want to pit one employee against another. This will create an atmosphere of negative competition. Try to provide constructive feedback whenever you are speaking with an employee. My last bit of advice is to balance the negatives with positives so that the employee is not getting overwhelmed. Putting a positive spin on things will create a positive work environment. I am very welcome to feedback and I encourage it. Sometimes you aren’t aware of things you could improve upon and it helps to get another perspective. You can’t take feedback personally when it is meant to help you grow. Be open-minded and it will allow you to truly succeed! Constructive criticism is great. It really helps you grow in your field. Feedback is the only way to grow. Everyone should be open to it. Sometimes we don’t see in ourselves where we can improve. The best thing you can do with yourself is take in all the feedback you can. Evaluate what points are important and where you can improve and take action. In addition to providing feedback, it is very important to be able to take feedback. If someone is genuinely trying to help you grow and improve you should take it in stride and use it to your own benefit. Feedback, when constructive, is what will lead you to grow and excel in your career. Others notice areas of improvement that you might not recognize. Constructive criticism is necessary and can be very helpful, but how it is presented is key, along with making sure the recipient is also being told what they are doing well. One without the other is less effective in many cases. Agree with you Kitty. I’ve made many improvements to my work from feedback from others that I wouldn’t have caught myself. Feedback and constructive criticism also help show the employee that their management cares about the work they’re doing, and is invested in their productivity and growth. It’s easy to get complacent if you’re working in a vacuum. I’ve always taken constructive feedback as a compliment. Your employer sees your potential and wants you to learn and improve. Feedback is a great way to grow and become better at what you do. It is crucial to take constructive criticism positively. It just means that someone wants you to get even better and they are investing in you! I am always open to feedback. It is usually coming from a place of wanting to help and I like to learn how I can better myself. I am generally welcome to feedback if it is really meant to improve me. Sometimes people have another angle so you just have to know where it is coming from. When you are giving the feedback you want to make sure you have the right tone and do not come across as critical in a judgemental way, not do you want to come across as patronizing and phony. The person giving the feedback needs be aware of their delivery so it is not taken the wrong way.